Manhattan District Attorney Cyrus R. Vance, Jr., New York City Department of Investigation (“DOI”) Commissioner Mark G. Peters, New York City Department of Environmental Protection (“DEP”) Commissioner Vincent Sapienza, Queens District Attorney Richard A. 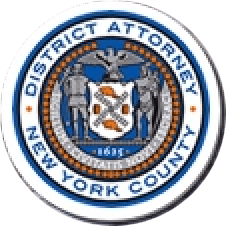 Brown, and Staten Island District Attorney Michael E. McMahon today announced the arrest of 18 defendants for submitting false paperwork corresponding to fraudulent asbestos inspections occurring at approximately 40 sites across the city, including Manhattan. Nine of the defendants are charged in New York State Supreme Court indictments with Offering a False Instrument for Filing in the First Degree. The indictments are the result of long-term, joint investigation by the Manhattan District Attorney’s Office, DOI, DEP, Queens District Attorney’s Office, and Staten Island District Attorney’s Office into asbestos inspection fraud. In New York City, the Department of Buildings (“DOB”) requires property owners to retain a Certified Asbestos Investigator (“CAI”) to perform an inspection prior to obtaining a construction permit. CAIs, who are licensed by DEP, must prove that asbestos is not present at a property through a process of collecting bulk samples on site, submitting the samples to a laboratory, and reviewing the test results. CAIs are then required to submit an asbestos assessment report to DEP that documents the location, date, and time of the inspection. According to the indictments and documents filed in court, between 2016 and 2017, nine CAIs, including JOHN ANUFORO, 69, PAOLA CANO, 41, DAVID CHANG, 49, DOMINICK CICCARELLI, 37, JULIO CORPORAN, 50, ANTONIO JARAMILLO, 37, LONG RIGG, 36, KENG LEE SO, 36, and ERIC TELEMAQUE, 55, falsely filed documents certifying that asbestos inspections were performed at approximately 40 locations in Manhattan and that construction would not disturb asbestos at those sites. In fact, in some cases, the CAIs who claimed to have conducted the inspections were absent from the collection sample site, and instead, were out of the city, state, and sometimes even country at the time of the inspection. In other cases, CAIs falsely certified that certain properties were free of asbestos, in spite of possessing lab reports containing positive asbestos tests and evidence to the contrary. In order to improve industry-wide accountability and integrity, DOI also issued a detailed report documenting the vulnerabilities discovered through the investigation, as well as important recommendations for reform in this area. Assistant D. A. Catherine McCaw is handling the prosecution of the case under the supervision of Assistant D.A. Gloria Garcia, Deputy Chief of the Financial Frauds Bureau, Assistant D.A. Archana Rao, Chief of the Financial Frauds Bureau, and Executive A.D.A. Michael Sachs, Chief of the Investigation Division. Program Coordinator Lotus Ho provided additional assistance with the investigation. District Attorney Vance also thanked the following agencies and individuals for their assistance with the investigation: U.S. Customs and Border Protection, and in particular, Steven Wnorowski and Valerie Sorensen-Clark, DOB, and in particular, James Irwin, and DEP, and in particular, Carlstien Lutchmedial.